Do you need to be omniscient to know that God doesn’t exist? Not if God is supposed to be omniscient. If God is omniscient, as many philosophers, theologians, and apologists have claimed, all you need to know is that omniscience is impossible. The video covers why omniscience is physically impossible, mathematically impossible, and phenomenologically impossible. The article following it includes objections to more types of omniscience. 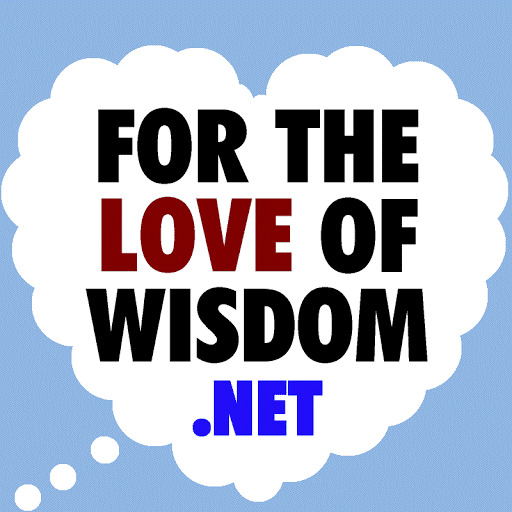 First, what is omniscience? Omniscience is the full knowledge of everything there is to know. If anyone knows anything, it will also be known to any omniscient being. And beyond that, an omniscient being will know tons of things no other non-omniscient being knows. Whatever can be known will be known to any omniscient being. Omniscience comes up in theology, because Rene Descartes and others have attributed omniscience to God. Descartes defined God as a perfect being, and he maintained that omniscience is a perfection. Many other theologians and religious people have continued in the belief that God is omniscient. But omniscience is impossible, as I will demonstrate here. Let’s begin with something small, relatively speaking. An omniscient being should be familiar with every image my monitor is capable of displaying. How many images is this? Let’s calculate. First, the color of each pixel can range from 0 to 255 for red, green, and blue. So, the number of colors each pixel may display is 2563, which is 16,777,216. Since my monitor is 1680 pixels wide by 1050 high, it has 1,764,000 pixels. So, the total number of images my monitor can display is 167772161764000. That’s well over a googol, which is just 10100, and it’s approximately 7.9 E+12744405, which is 79 followed by 12,744,404 zeros. Now let’s put this into some perspective. The age of the universe is estimated to be about 13.8 billion years. The number of seconds in a year is approximately 60 seconds * 60 minutes * 24 hours * 365.25 days for a total of 31,557,600. So, the age of the universe in seconds is approximately, 13.8 billion * 31.6 million, which is about 436 quadrillion. And bear in mind that this is rounding things up. The estimated age of the universe is something less than 436 quadrillion seconds, but 436 quadrillion is still far short of one googol by several factors, which itself is far short of the possible number of images my computer monitor can display. So, if a computer program had been running from the beginning of the universe, displaying one possible image my monitor could display each second, it wouldn’t be near completion yet. In fact, it wouldn’t even be one percent done. Let’s now consider the number of atoms in the universe. This is estimated to be 1078 to 1082. That’s a big number for sure, but it is still less than one googol, which is still far less than the number of possible images my computer monitor can display. The number of subatomic particles, at least of the kind we know of, will be larger, but it will still fall short of one googol. So, if we wished to store an image file of every image my monitor can display, we would need more bytes of memory than there are atoms in the universe. The consequence of this is that no being in the known universe has enough memory capacity to remember every image my monitor is capable of displaying. This shows the physical impossibility of omniscience for any natural being in the known universe. If omniscience is possible at all, it will be possible only to some kind of supernatural being. But there aren’t just a large number of facts for an omniscient being to know, there are an infinite number. Consider the set of strings of Unicode characters of any length at all, beginning with a length of 1 and having no upper limit. This is an infinite set. This set is going to contain the text of just about every book ever written in any of the languages Unicode supports, as well as books that have never been written but could be, as well as books in future languages that may use characters in the Unicode set, as well as a whole bunch of garbage and gobbledygook. For any member of this set, it is a coherent and meaningful work in some past, present, or future language, or it isn’t. For any coherent and meaningful work that appears in this set, it can be classified as fiction or non-fiction. For any coherent and meaningful non-fiction work in this set, it may be completely true or partially true. An omniscient being will know every work in this set, and it will know whether it is coherent and meaningful, which language it is in, whether it is fiction or non-fiction, and how much truth it expresses. This set will also contain computer programs, binary representations of images, game rules, and other things. An omniscient being will understand each computer program expressed in this set and how it will handle any kind of input given to it. An omniscient being will have knowledge of every image represented in this set. An omniscient being will know how to play every game described in this set, and it will know how to play it as well as possible. I could go on, but you should get the point that full knowledge of this set requires an infinite capacity for knowledge. But even with an infinite capacity for knowledge, no being would ever have enough time to learn everything. Even if an immortal being began learning things much more rapidly than humans are capable, it would be impossible to reach omniscience. The reason for this is the same as the reason why you can’t count to infinity. There is no endpoint. You could count by googols or by googolplexes (10^Googol), and you wouldn’t reach infinity any sooner than if you counted by ones. Likewise, no matter how rapidly a being learned, it would never reach a point at which there was no more to learn. Therefore, omniscience is temporally impossible. If omniscience is to happen at all, it must happen instantaneously. But this creates new problems for the idea of omniscience. One problem is how it could ever happen. In normal human experience, we gain knowledge by learning, which takes time. If knowledge is to be instantaneous, there can be no time for learning. God can’t just know what we’re doing by watching us, for example. Instead, God must know ahead of time, from the very first instance of his existence, what the entire course of our lives will be. But how is such a thing possible without any time to learn anything? It seems like the most improbable, most far-fetched thing ever. The only thing that could give it any credence is if it were necessary. This is how Descartes has tried to argue for the existence of an omniscient being. 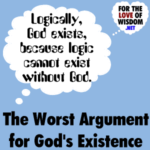 He used the ontological argument to argue for the necessary existence of God, a perfect being whose perfections include both omniscience and omnipotence. The ontological argument is a fallacious argument, and I will fully address it another time. For this discussion, I will just point out that instantaneous omniscience is incompatible with omnipotence. If God knows everything that will ever happen ahead of time, he can never choose to do anything other than what he already knows he will do. But without the ability to make free choices, he is utterly impotent, a mere witness to the unfolding of what he already knows will happen, unable to do a single thing about it. Since omniscience is incompatible with omnipotence, the perfect being imagined by Descartes is not only unnecessary but impossible. Omniscience requires tremendous, even infinite, complexity, making omniscience the most improbable thing that could ever happen, if even that. Omniscience is just too improbable to ever appear without being necessary, and arguments that it is necessary do not stand up. Another problem with instantaneous omniscience is how it could ever account for experiential knowledge. If omniscience comes instantaneously, how could an omniscient being ever know what it is like to listen to a piece of music, to ride a bike, or to write a book? Knowledge of an experience comes from having the experience, and that takes time. Yet omniscience, given the requirement that is must be instantaneous, takes no time at all. It might be claimed that God just instantaneously knows what every real or potential experience is like. This in itself seems ridiculous. This would include every experience ever experienced, that ever will be experienced, and that might ever possibly be experienced. This would include the worst of experiences, such as extreme torture, painful death, overpowering guilt, grief, and hatred, as well as the best, such as marital relations with a beloved spouse, creating something great, helping people live better lives, and having that “Eureka!” moment of figuring something out for the first time. Besides that, omniscience is not just belief, it is knowledge. An omniscient being wouldn’t just be aware of what every real or potential experience is like, it would know for sure what each real or potential experience is like, not only for itself but for each and every being that has ever experienced (or ever will experience) anything. There seems to be no way of knowing for sure what an experience is like short of having it. So, even if God somehow had full awareness of all experiences, he would not have full knowledge of them without actually living through them. But this takes time. And once we introduce the requirement of time for knowing any class of knowledge, omniscience becomes unreachable. One more problem with the idea that omniscience happens instantaneously is that an instantaneous acquisition of all knowledge creates new objects for there to be knowledge about. These new objects are the beliefs held by the omniscient being. These are called intentional objects. This has to do with what philosophers of mind call intentionality, which has nothing to do with the more commonplace psychological definition of intentional as describing what you intend to do. An intentional object is what a belief is about. This may be a real object, such as my computer, or it may be a concept, such as omniscience. In my belief that omniscience is impossible, the intentional object is omniscience. But in the complete thought expressed by the last sentence, the intentional object is my belief that omniscience is impossible. And in the preceding sentence, the intentional object is the thought expressed by the sentence before it. Beliefs can be intentional objects. Not only do I have beliefs. I have beliefs about my beliefs. I can also have beliefs about my beliefs about beliefs, and so on. Any belief, even a belief about beliefs, can be the intentional object of another belief. Therefore, every belief is a potential intentional object for another belief. Human knowledge puts practical limits on this, but omniscience would not have these limits. Each belief of an omniscient being would be a new intentional object it must have complete knowledge of to be omniscient. To be truly omniscient, an omniscient being must believe everything true of each of its beliefs. The problem with this is that this recursively creates new beliefs that must themselves become the intentional objects of new beliefs, and so on, ad infinitum. If this happens in time, we have another instance of a temporal race toward omniscience. There will be no catching up to omniscience, even if knowledge is gained in leaps of complete knowledge, because it will always recede further away. If all meta-knowledge, including all meta-knowledge of meta-knowledge and so on, is acquired instantaneously, then an omniscient being must possess infinite awareness of an infinite number of real intentional objects. Each belief would be a real thing, as distinguished from the members of the set of all Unicode strings, which have no more concrete reality than numbers have. An infinity of real things would require a real infinity. But there is a problem with this. Infinity is not a real number. An infinite number of individual beliefs can have no more reality than infinity has. Although there are an infinite number of real numbers, each real number is finite. For omniscience to be real, every belief the being holds must be a real belief. For a belief to be real, it must be part of a real quantity of beliefs. But any real quantity of beliefs is going to be finite. So, for omniscience to be real, the beliefs of the omniscient being must be finite in number. But the Unicode strings example and the recursive intentionality example both require an infinite number of real individual beliefs. Since infinity is not a real number, this is impossible, making omniscience as mathematically impossible as a real infinity. Now, if you’re a true believer, you might want to bite the bullet on this one and assert that a real infinity is possible. Then there is another problem. This is the incompatibility of some experiential knowledge with other experiential knowledge. If God is omniscient, then he cannot know what it is like to be ignorant. He cannot know what it is like to wonder about something, to forget something, or to learn something. He cannot know what it was like for Helen Keller to realize that the motions Anne Sullivan made on her hand were letters that formed words with meanings. 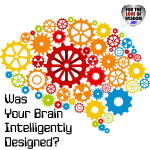 He cannot know what it was like for Charlie Gordon, the protagonist of Daniel Keyes’ story Flowers for Algernon, to gain great intelligence and then gradually lose it all. Such experiences would be foreign to a being with complete omniscience. Yet any omniscient being, by definition, would know these things. That gives us a contradiction, that an omniscient being cannot know what it is like to be ignorant and must know what it is like to be ignorant. This contradiction disproves omniscience by reductio ad absurdum. Beyond the incompatibility between certain types of experience, there is the problem of privileged experience. Some knowledge seems to be privileged. While some knowledge is about external facts, there is also knowledge about internal experience. Thomas Nagel once wrote an article called What is it like to be a Bat? The point of his article was that there was a phenomenological experience to being a bat that was beyond our ability to ever know. Likewise, for each being capable of having phenomenological experiences, its phenomenological experience would be private to itself. So, for example, I can never know what it is like to be you, and you can never know what it is like to be me. We might be able to imagine each other’s experience and understand something of it through the lens of our own experience, but that will never be the same as fully knowing what it is like to be the other person. Each being with a mind has its own perspective, through which it filters and interprets the experience of other minds. For anyone to fully know what it is like to be me, he would have to experience the same experiences, make the same decisions, suffer the same limitations, and possess no other memories of ever being anyone else. If any being possessed my memories and yours, it would not perfectly understand what it is like to be either one of us, because my experiences would contaminate its interpretation of yours and vice versa. This problem would be compounded even further for an omniscient being who knew the experiences of every living being. Therefore, it is impossible for any being to possess full and accurate knowledge of what it is like to be each being in the universe. Since the possession of some knowledge, such as what it is like to be me, requires the absence of other knowledge, such as the knowledge of what it is like to be anyone else, it follows that the possession of all knowledge, even it it were finite, is impossible. Therefore, omniscience is impossible. So, we have seen multiple ways in which omniscience is impossible. It is physically impossible for any natural being in the known universe. Since facts are infinite in number, it is temporally impossible for any being, even a being with unlimited memory, to ever learn fast enough to reach omniscience. For omniscience to exist, it must occur instantaneously. But this is the most improbable thing that could ever happen. Instantaneous omniscience also seems to preclude experiential knowledge, which is acquired over time. Omniscience also creates new intentional objects, about which full knowledge must be had to be omniscient. This creates an endless recursive cycle of intentional objects, which requires a real infinity. A real infinity of beliefs is also required by the Unicode strings example. Yet infinity is not a real number, and a real infinity is a mathematical impossibility. There are also experiences that are incompatible with each other, such as the experience of perfect omniscience with the experience of being ignorant. Finally, there is the privileged nature of phenomenological experience. An omniscient being should not be able to access the phenomenological experience of other beings, and even it it could, its omniscience would contaminate its knowledge of the experience of others. An omniscient being could not know, in a pure sense, what it is like to be me, because this knowledge will be held side-by-side with the knowledge of what it is like to be other people and animals whose personal experiences I have no personal knowledge of. So omniscience is impossible, and if God is supposed to be omniscient, then it follows that there is no God. But atheism is not a foregone conclusion here. The idea of an omniscient God appeared late in Christianity, and it is not found in the Bible. In the book of Genesis, God asks Adam and Eve where they are, and he sends angels to Sodom and Gomorrah to find out how bad things are there. I did a search on omniscience bible and found What Does the Bible Say About Omniscience?. It lists Bible verses, all from the English Standard Version, that seem to address the subject of God’s omniscience, but they are actually about God’s greater knowledge, and none frames this in terms of omniscience. A few verses come close. 1 John 3:20 says “for whenever our heart condemns us, God is greater than our heart, and he knows everything.” When it says “he knows everything” that could be interpreted as God is omniscient, but that would be ignoring the context here. It’s not about how God knows everything in an omniscient sense but about how God knows more than our own hearts do concerning the matters our hearts condemn us for. It’s not all that different from when one person tells another “I know everything.” There is normally a context behind this statement, such as “I know about that crime you committed” or “I know that you are really taking the blame for something someone else did.” Job 37:16 says “Do you know the balancings of the clouds, the wondrous works of him who is perfect in knowledge.” The expression “perfect in knowledge” sounds even more like omniscience. But the context is crucial here. These are not the words of a prophet with inside information on God. These are the words of a man named Elihu, who was arguing with Job, and the point he was making was that God knows about things that Job doesn’t, such as how lighting works and why clouds float. Knowing such things does not require omniscience, and thanks to science, many people do understand these things these days. Romans 8:32 says “For those whom he foreknew he also predestined to be conformed to the image of his Son, in order that he might be the firstborn among many brothers.” The use of the word “predestined” suggests the doctrine of predestination, which may follow from omniscience and is part of Calvinism. In contrast, the Contemporary English Version speaks of God’s choice and decision, not of predestination. God does not have to be omniscient to make choices and decisions and carry them through. In general, Bible prophecies do not imply that God knows how the future will inevitably unfold. Bible prophecies are not predictions of the future so much as they are promises or warnings from God about what he will do. In some instances, Biblical characters get God to change his mind, as when Abraham pleads with God to spare Sodom and Gomorrah for the sake of some number of righteous men. In others, God’s warning is conditional, and what his prophet warned does not come to pass, because the people did as God wanted. This happens with Jonah, who warns the people of Ninevah to repent or face God’s wrath. They repent, and much to Jonah’s dismay, God does not inflict his wrath upon them. Like the Biblical God, human beings often give warnings or promises about what they will do. Unlike the Biblical God, they die too soon to enact long-range plans. The Bible makes no clear declaration of God’s omniscience, and it never portrays God in a way that requires an assumption of omniscience. At best, the God of the Bible possesses a limited omniscience, which is the ability to witness everything as it happens. This is suggested in Jeremiah 23:24, which says “Can a man hide himself in secret places so that I cannot see him? declares the Lord. Do I not fill heaven and earth? declares the Lord.” And again in Hebrews 4:13, which says “And no creature is hidden from his sight, but all are naked and exposed to the eyes of him to whom we must give account.” The idea that God is a witness to all, sort of like 1984 ‘s Big Brother, fits with the Biblical portrayal of God. The idea that God is omniscient does not. None of this is to say that the Bible is true. This is just to point out the limits on how far the conclusions of this post should be taken. Philosophers, theologians, and apologists have often held a concept of God that presumes omniscience, and this concept of God is busted. There is no omniscient God. But the Biblical conception of God is not affected, because the Bible does not portray God as omniscient. 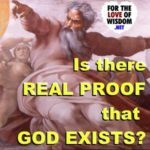 If people wish to have faith in such a God, the arguments in this post do not prove their faith wrong. Other reasons may be given for not believing in the Biblical God, but the impossibility of omniscience is not one of them. The important thing for those who remain Christians to take from this is that the Biblical God is not omniscient. The Biblical God is one that is capable of learning, of being reasoned with, and of changing his mind. An omniscient God is not. Do you need to be omniscient to know that God doesn’t exist? 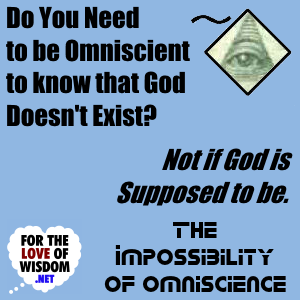 Or do you just need to know that omniscience is impossible? ← How can we trust our senses and thoughts?